A Custom Rack for Fly Tubes. 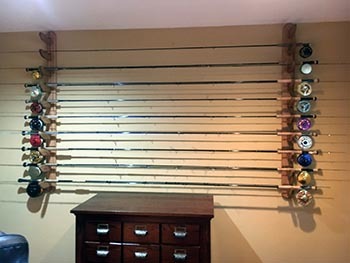 Here is an example of a customer who needed to store and display both fly rods and fly rod tubes. 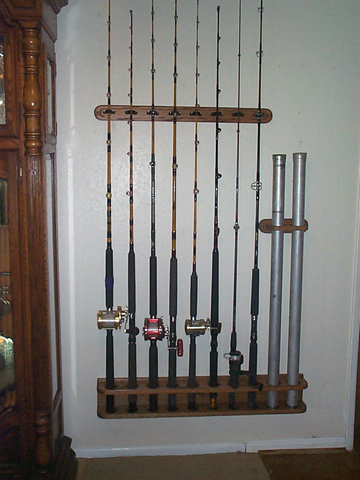 When you have a variety of rods that you want to store, the Universal Rod Rack is great. 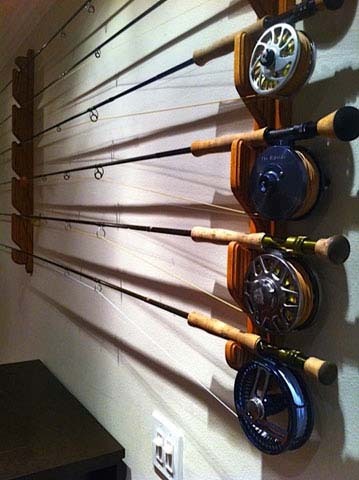 All racks are made one at a time. 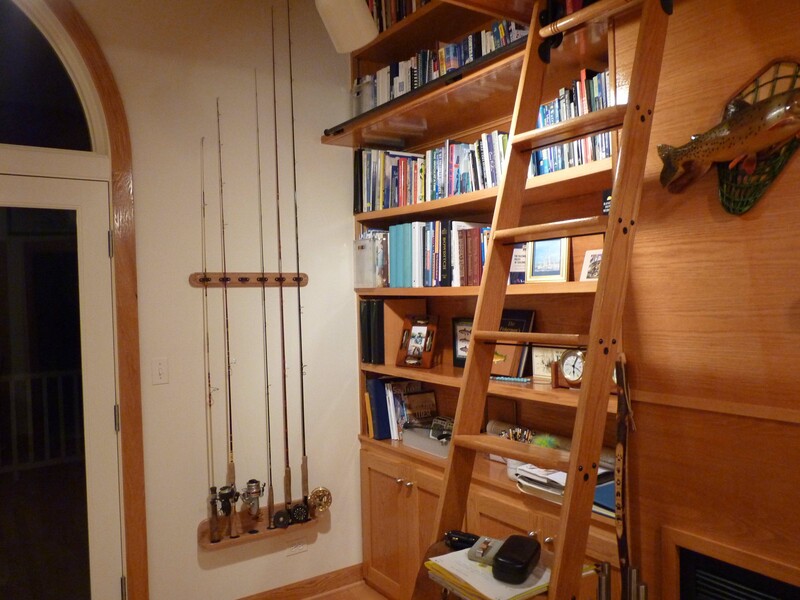 Our top of the line rod rack, the executive style, with galley rail for that nautical look. 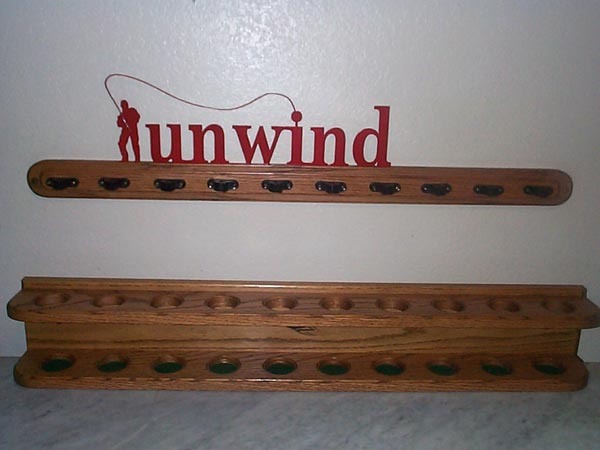 Made of Solid Red Oak, our racks are made one at a time per customer. 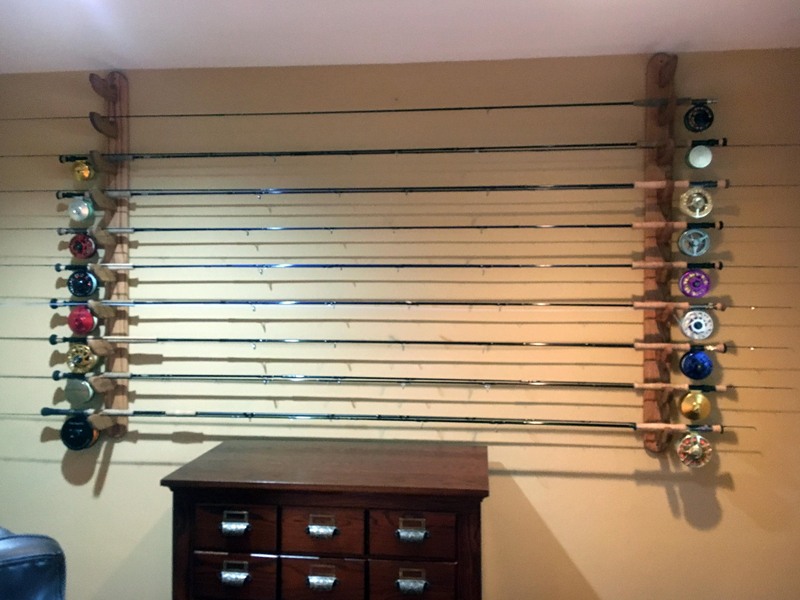 "The greatness of a man is not in how much wealth he acquires, but in his integrity and his ability to affect those around him positively.."
This customer knew exactly what he wanted and we were happy to build it for him. 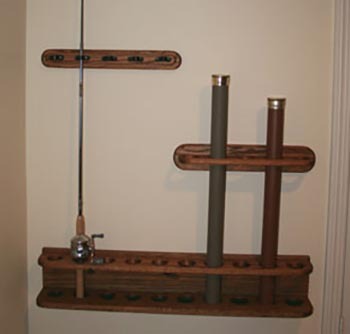 Dave sent us this great picture of his horizontal fly rod rack. 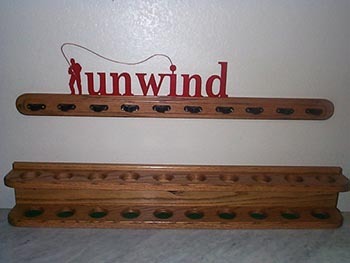 Whether or not you golf or fish, we all need to "unwind". 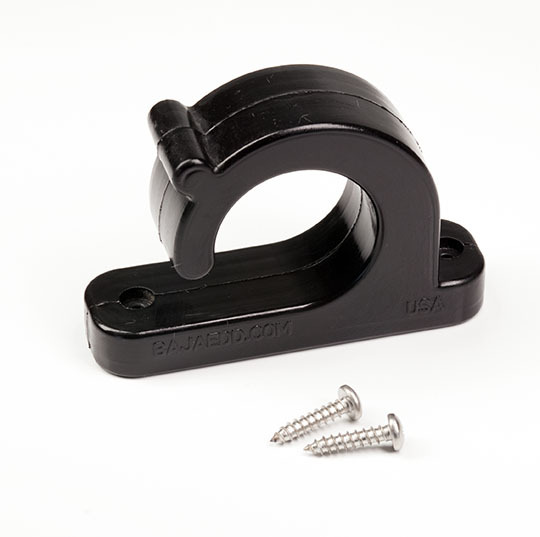 Made of 16 gage metal and painted to your color of choice. 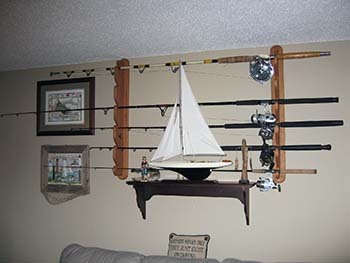 Mounted alone on oak or attached to your fishing rod rack. 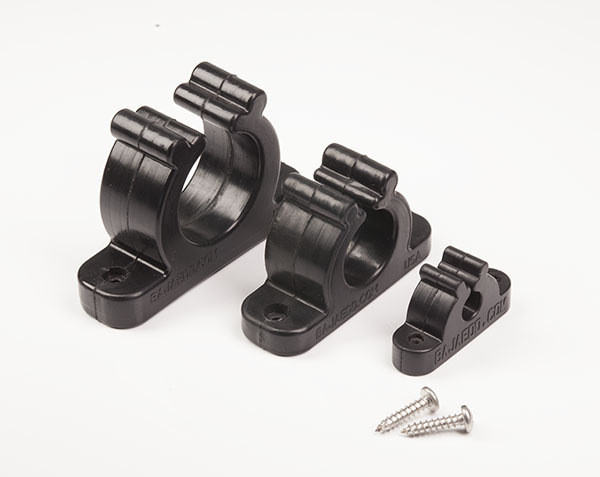 Our rubber rod holders are not just for the fishing industry. 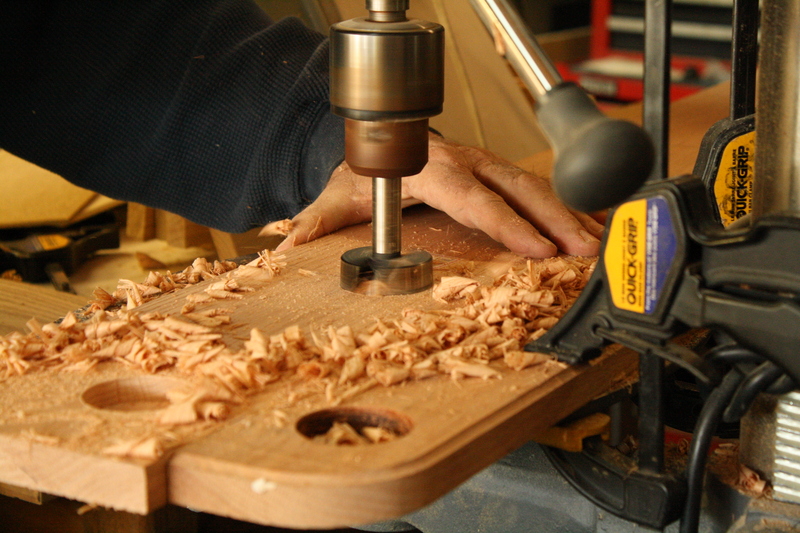 They have become more of a utilitarian tool. This customer needed a rack to accommodate rods, reels and fly tubes. 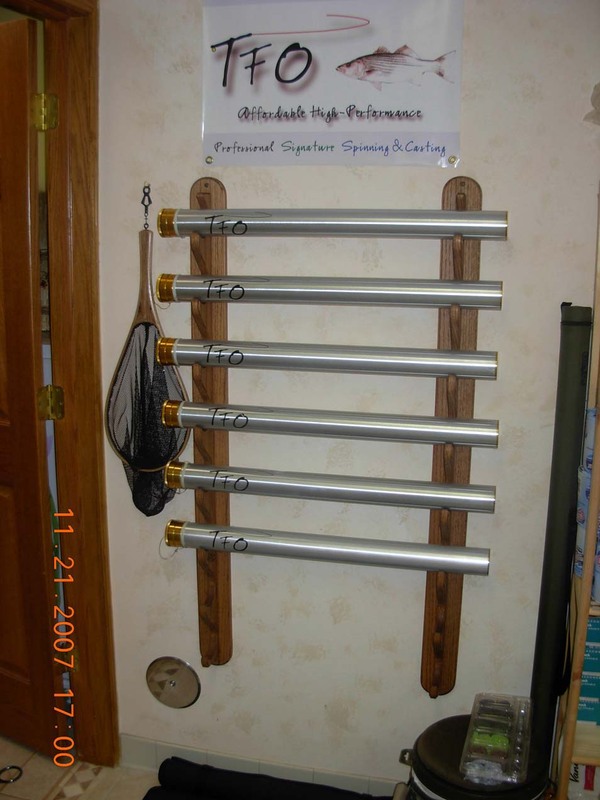 Customer's picture of his Custom Horizontal Rod Rack. 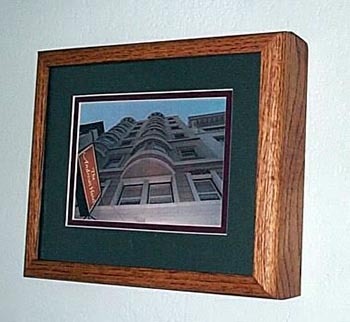 Only you know what is hiding behind your Hide in Plain Sight Photo Frame. 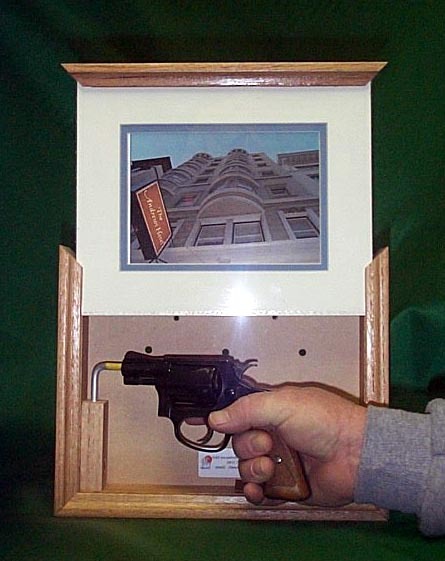 All precaution must be taken - These Gun Frames are NOT Safes. Thank you Brent for making this video for us. Great Job. Thank you to all our past customers for taking the time to send us pictures of their racks. We appreciate you. 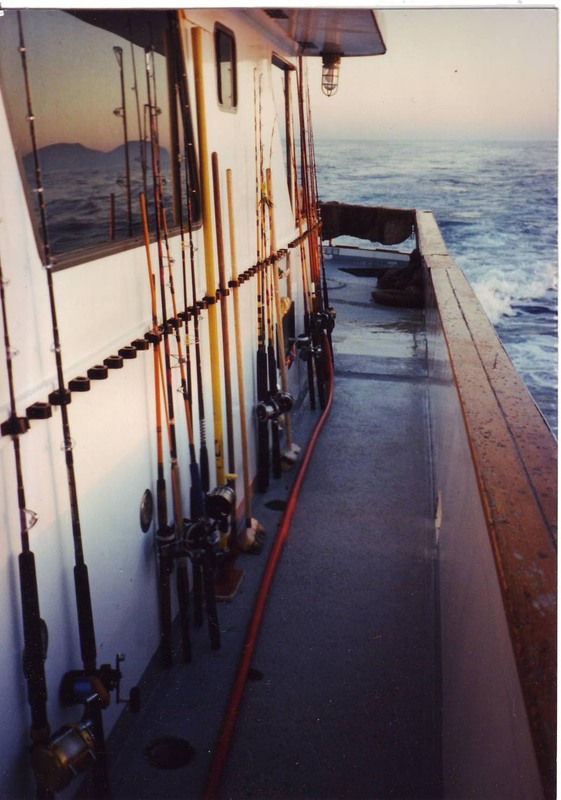 To our future customers, thank you for visiting our page. Please feel free to call us with any questions. 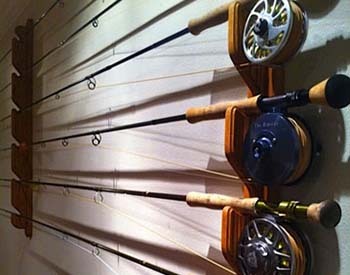 We are located in Southern California PST. (661)-877-7956.